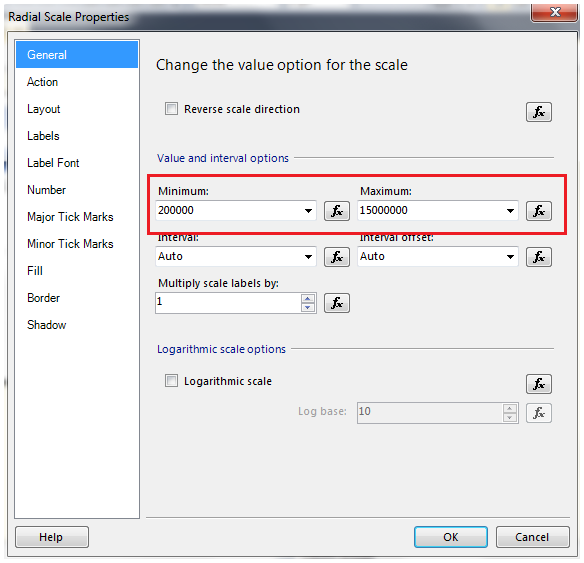 This article describes how to implement Gauge data region in the report. 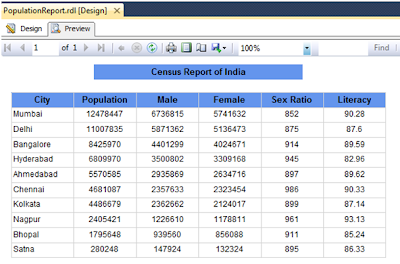 Many Dashboard and Score Card reports require colorful indicators to show quantity, population, productivity etc. Gauge is one of popular data region of reporting services that acts like a measuring instrument in the report. 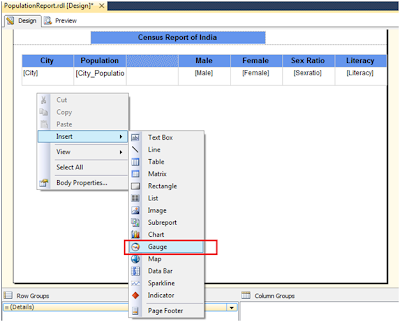 It makes report more interactive and helps the business users to understand the data more easily. 2. 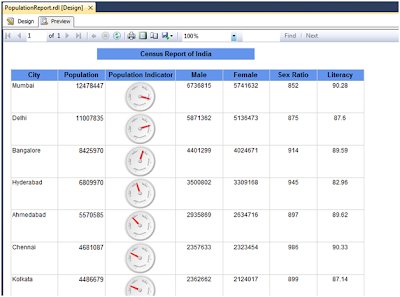 What is Gauge Data Region? · Display key performance indicators (KPIs) in a single radial or linear gauge. 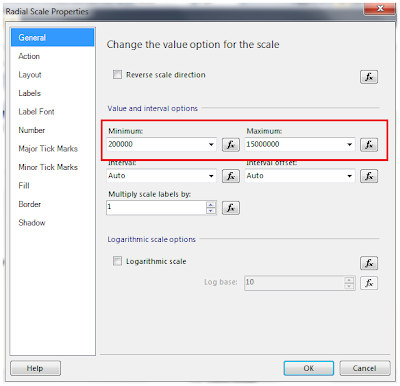 · Place a gauge inside a table or matrix to illustrate values inside each cell. 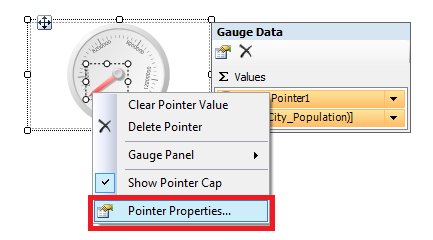 · Use multiple gauges in a single gauge panel to compare data between fields. 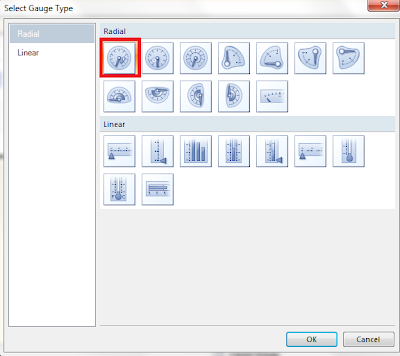 There are two types of gauges: radial and linear. I. Here we will add Gauge for the city population to the right side of the Population column. 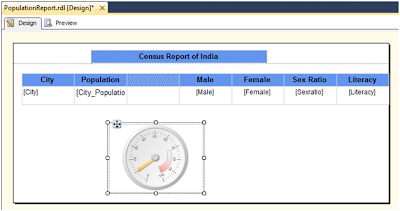 For adding a new column, right click on the Population column then Insert column and select Right. 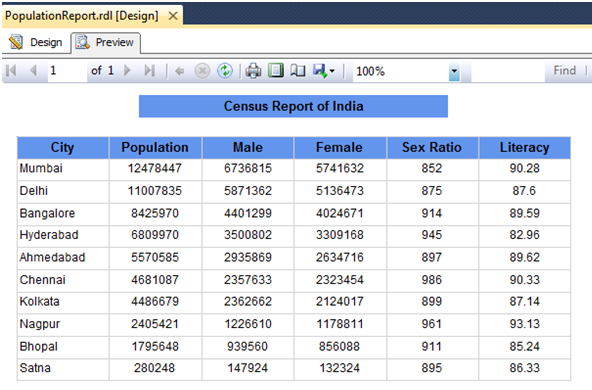 It will insert a new column right to Population column. V. Below screenshot showing Gauge mapped to City Population. III. Now drag and drop the gauge into new column. So we have implemented Gauge successfully. Report is showing Gauge indicator correctly. 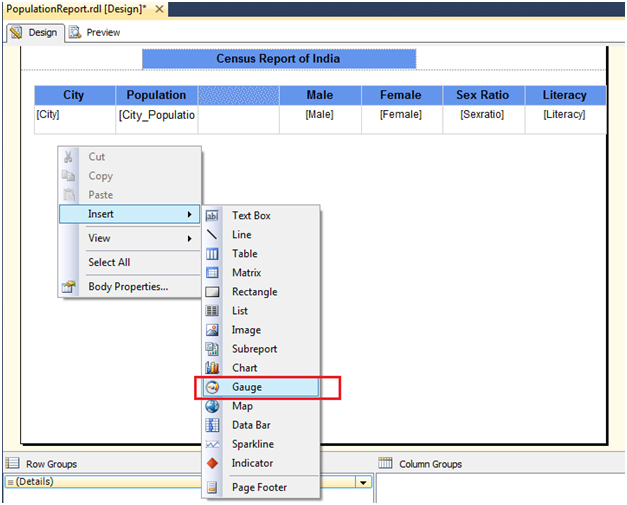 By using the above steps, we can implement gauge data region in the report to make report more interactive that is very helpful for users to analyse the data easily.